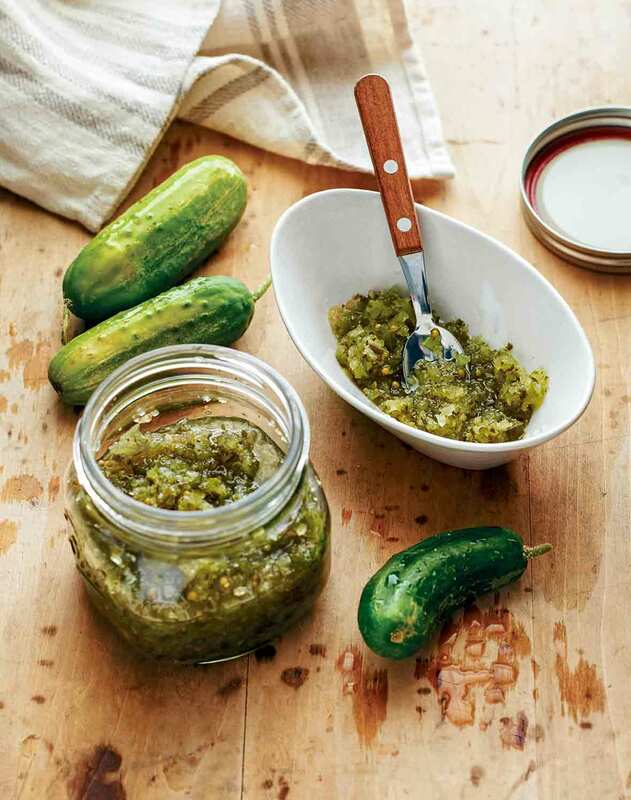 This sweet pickle relish is made with cucumbers, sugar, onion, salt, mustard seeds, celery seeds, and cider vinegar. Perfect for hamburgers and hot dogs. 1. In a large bowl, layer the cucumbers, onions, and salt. Add enough of the cold water to completely cover the vegetables. Cover and let stand at room temperature for 2 hours. 2. Drain the vegetables in a large fine-mesh sieve or a colander lined with a single layer of cheesecloth. Rinse well and drain again, pressing out the excess liquid and discarding it. 3. In a 6- to 8-quart stainless steel stockpot, combine the sugar, vinegar, mustard seeds, and celery seeds. Bring the mixture to a boil over medium-high heat, stirring constantly until the sugar is completely dissolved, about 5 minutes. Add the drained vegetables to the syrup and return to a boil. Reduce the heat and simmer, stirring frequently, for 10 minutes. Remove the pot from the heat. 4. Ladle the relish into hot pint jars, leaving 1/2-inch headspace. Remove any air bubbles. Wipe the jar rims and threads with a clean, damp paper towel. Apply hot lids and screw bands. 5. If you’re simply stashing the relish in the fridge, refrigerate the jars of relish for up to a few weeks. 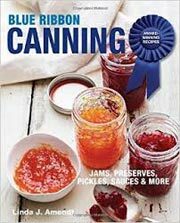 If you’re properly canning the pickle relish, process 8-ounce jars in a water bath canner according to manufacturer’s instructions for 10 minutes and process pint jars for 15 minutes. Remove from the water bath canner and let cool for 12 to 24 hours. Check the seals and remove the screw bands. Store jars in a cool, dry, dark place for up to 1 year. Sweet Pickle Relish Recipe © 2015 Linda J. Amendt. Photo © 2015 Andrew Purcell. All rights reserved. All recipes and photos used with permission of the publisher.